Jahanzeb Qureshi is an Assistant Professor at the department of Space Science, University of the Punjab, Lahore, Pakistan. He joined the university as a Lecturer (on contract) in 2003 and become regular in 2004. He received his Master degree in Space Science in 1992 and stood second. He received his M.Phil degree in Geomatics from University of the Punjab, Lahore, Pakistan in 2014. His research interests are Remote Sensing Meteorology, Geomorphology and Space Systems. 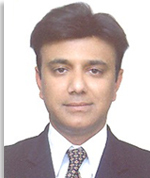 He has eleven publications in national and international journals and five publications in international conferences. Currently he is doing his Ph.D at the department of Space Science, University of the Punjab, Lahore. He started his professional career as Incharge Paging Communications from (March 1993 till May 2001) in Digital Radio Paging (Pvt) Ltd. He worked as Manager Coordination Administrative Affairs from (August 2001 till June 2003) in Balcom (Pvt.) Ltd.